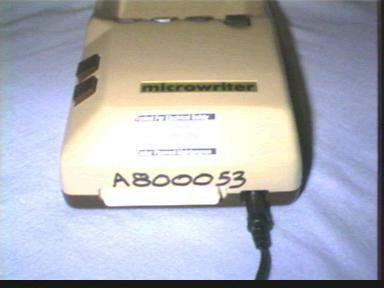 Available in both left and right handed models the Microwriter was an attempt to replace the standard QWERTY keyboard. It was marketted as easier, faster and more productive, especially for novices. This was because of the fact that with only five of the six buttons being used for typical typing there were none of the 'reaches' needed on normal keyboards which often result in errors. 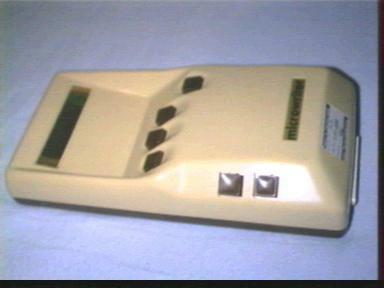 Two distinct versions were built, one using resistors which required direct connection to a computer's analogue input socket to function, and the more sophisticated electronic version (pictured) which could operate and store text in the absence of a computer, later downloading it to a computer or cassette recorder. The hand is placed such that the fingers are above the top four buttons and the thum over the upper button on the side of the unit. 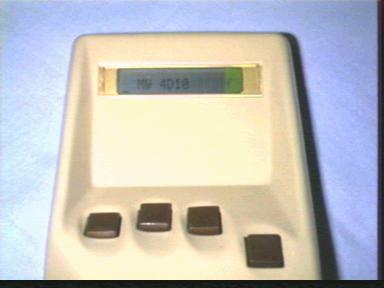 Characters are typed by holding down combinations of buttons which represent letters/numbers/puctuation. 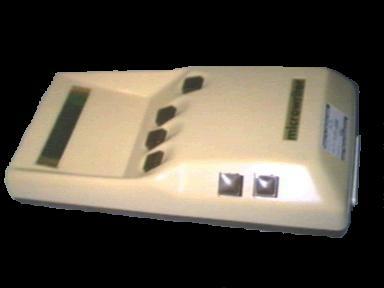 Text is viewed on the LCD display or on a TV set via the optional TV adapter. A internal rechargable cell or mains PSU provide power to the unit. The 37 pin D socket may be for the TV adapter. 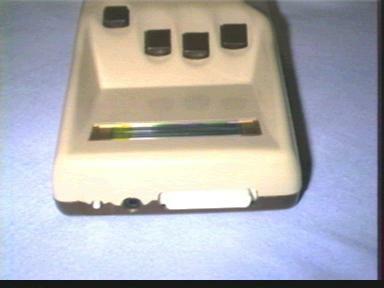 The top of the unit provides an on/off switch, cassette socket and RS232 25 pin D socket for connection to serial devices such as a computer or printer. 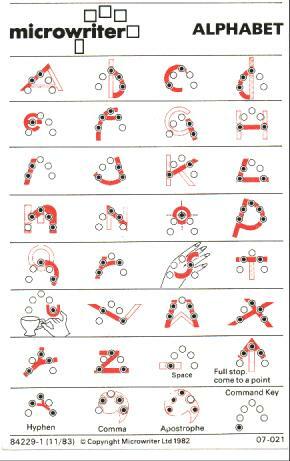 Some of the letter 'shapes' are easy, some are cryptic to say the least.